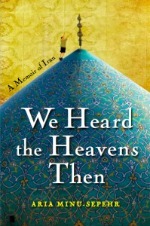 We’ve chosen Aria Minu-Sepehr’s We Heard the Heavens Then as our spring Oregon Book Club selection. We’ve been thinking a lot about the connection between the Pacific Northwest and the Middle East, and we’re thrilled to bring to your attention this fantastic memoir by an Oregonian who advocates for understanding between the West and the East. 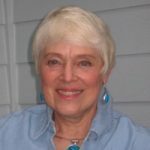 Writer/editor Suzanne LaGrande will interview the author at 7 p.m. Thursday, Sept. 19, 2013, at Broadway Books, 1714 NE Broadway. The event is free and open to the public. Chronicling his childhood in Iran in the years preceding the fall of the Shah, Aria Minu-Sepehr delivers a beautifully written elegy for a life detoured and a country lost. As the son of a major general in the Shah’s air force, Aria Minu-Sepehr grew up in a world where anything was possible. Part of a generation and class of Iranians swept up in the momentum of Westernization, his father is intent on showing his son the glories of velocity. Aria experiences unheard of freedoms: he learns to drive at the age of eight and flies his father’s planes at the age of ten. At the same time, Aria finds himself drawn to the kitchen, where servants and rank-and-file soldiers grumble about the crumbling of tradition—giving him an up-close look at the duality of his country. A keen observer even as a child, Minu-Sepehr shows us an Iran that is complex, colorful and deeply conflicted. A place where even a 10-year-old with a strong allegiance to the air force can find himself caught up in revolutionary fervor, if only for a short while. Although Minu-Sepehr focuses on his personal experiences, terror presses in on this story like a street vendor at a car window, threatening to overtake the reader at any moment. As family friends fall victim to violence, Aria combats grief with small acts of humor and beauty, showing love for his country even at the moment of his own exile. In the end, Minu-Sepehr tells a story about the Middle East that many in the West don’t know: Iran is not a nation mired forever in ancient customs, but a country of wild spirits who attempted to fly like Icarus to the sun. We think that’s a story that every Oregonian should hear. Aria Minu-Sepehr lives in Corvallis, Oregon with his family. He has not seen his homeland for over thirty years, and remains under threat, as does his father, for his opposition to the regime in Iran. We Heard the Heavens Then was an Oregon Book Award finalist.